Hellyeah is a rock band which formed in Dallas, Texas, United States in 2006. The band consists of Chad Grey (vocals), Greg Tribbett (guitar), Tom Maxwell (guitar), Bob Zilla (bass) and Vinnie Paul Abbott (drums). Grey and Tribbet are members of Mudvayne, Maxwell is a member of Nothingface, Zilla was a member of Damageplan and Abbott was a member of Pantera and Damageplan. 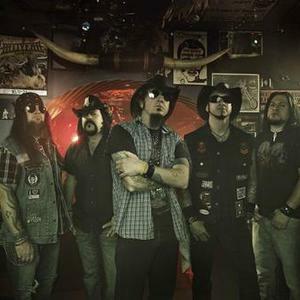 The band has released two albums, "Hellyeah" (2007) and "Stampede" (2009).